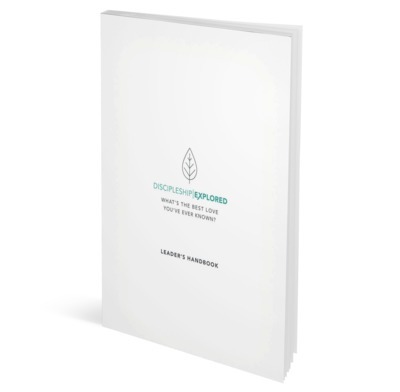 The Discipleship Explored Leader's Handbook contains everything you need to lead this eight-session course. It includes comprehensive training material and advice, and answers to all the questions from the course. Each session starts with a film from the brand new, accompanying DVD or available to download, after which there is a group Bible study in Philippians. Discipleship Explored is an eight-week journey through the book of Philippians. As they discover Paul's extraordinary letter, participants explore for themselves the meaning of Paul's words: "For me, to live is Christ and to die is gain." Discipleship Explored is ideal for young Christians but is also great for anyone who wants to grow in their Christian life, be encouraged to stand firm and to live for Christ. It is compelling, challenging and inspiring! Carefully-crafted Bible-study questions, detailed guidance for leaders, and answers to questions from Philippians are all included alongside a Bible-reading plan to help every participant explore each theme further and also develop the habit of reading the Bible daily.